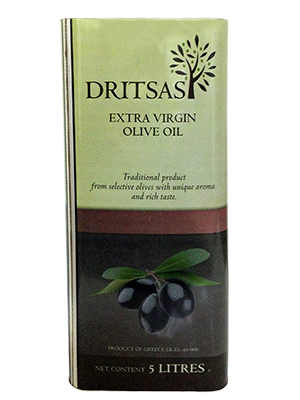 Every single bottle of DRITSAS olive oil contains our passion, our know-how, our obsession with the purest of raw materials and our respect for the absolute satisfaction of our customers. We respect the most precious good from the Greek land, using only traditional methods to produce olive oil from selected olives with unique aroma and rich taste. 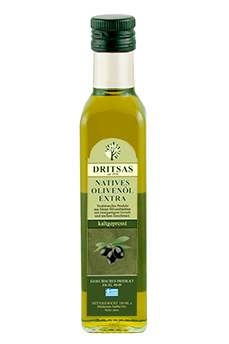 Our olives come from the area of Peloponnese and our olive oil is produced with the method of first cold extraction. The purity of our olive oil is proven, of course, by the strictest tests conducted by State scientific labs. The ideal solution for retail consumers, delicatessens and supermarkets. For consumers: our new glass bottles at 250ml, 500ml, 750ml and 1lt are the ideal solution for consumers who want to combine the health benefits of olive oil with rich taste. 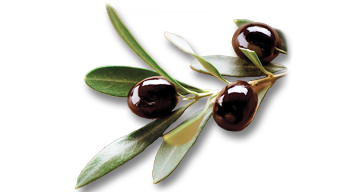 They maintain the freshness and the unique aroma of our olive oil, which is ideally consumed raw in salads or with meat, poultry or fish but is also used for sautéing during cooking. For delicatessens and supermarkets: we realize that the space of every shelf in those stores is precious. Our new bottles are ideal for a delicatessen or supermarket of any size. With a new elegant look that fits a modern aesthetics, but also from materials that are fully recyclable, our bottles are already available with German labels as well. For professionals: professionals who need quality extra virgin olive oil such as restaurants, hotels and catering services, will find out that our metal containers are very practical. They maintain the freshness and the unique aroma of our olive oil and they are available in recyclable containers of 5lt. For the ‘lovers’ of healthy nutrition: this size is also ideal for families and ‘lovers’ of olive oil and healthy nutrition, given that olive oil is recommended to be consumed daily in order to provide us with the maximum health benefits.